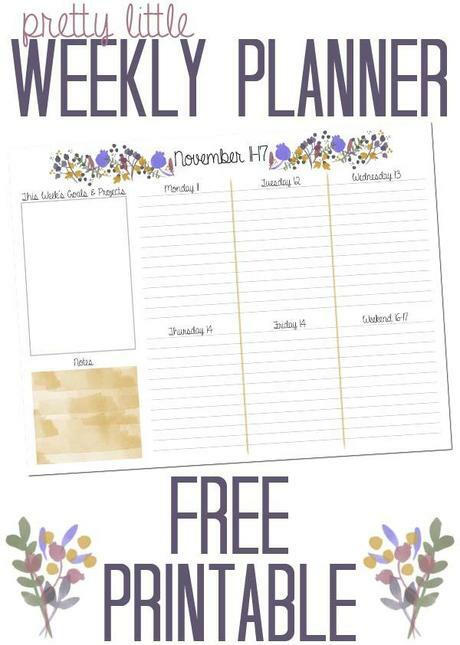 To get your free printable click on this link for the week of November 11-17, download it by hitting the ‘download’ button in the upper right and then print from your program of choice. I’d love to see how you’re using the printable! Share a picture with me @Thyme_is_Honey on Twitter and Instagram. As always, if you’re interested in my Daily Page Notepad, which helps you organize every aspect of your daily routine, you can find it in my Etsy Shop. This custom design was created using the Fall Foliage Brush Set from Creature Comforts.